Ideal for exterior and marine grade cleaning & polishing. 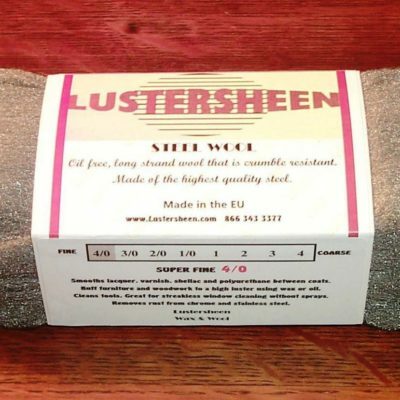 The 5″ diameter polishing pads are made using a high performance bronze alloy shaved to form a metallic wool in grade fine and then backed with a fabric. Bronze polishing pads are great for polishing all types of metallic and wood surfaces and their associated finishes. Bronze polishing pads are the ideal material for window and glass cleaning. There is no better material available for cleaning aquarium glass. These polishing pads can be used by hand or with an orbital machine. Hook-and-loop or peel-and-stick supplies are available locally so that the pads can be mounted to your own tools. Wood: Used alone or with a good quality spray polish or paste wax; provides the optimum sheen on all wood surfaces including cabinets, railings, furniture, baseboards, woodwork and paneling. Ceramic tile: Excellent for cleaning high glazed shower tile. Bring a bronze pad into the shower with you and quickly remove residue, grime, mold and mildew with ease. No need for specialized sprays or treatment. An old time tried and true method. General cleaning: It can be used directly on glass surfaces without sprays to remove dust, dirt and other residue. 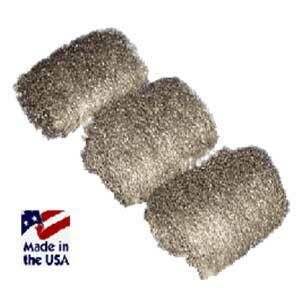 Bronze wool is non-corrosive and any fibers left behind will not be subject to oxidation . 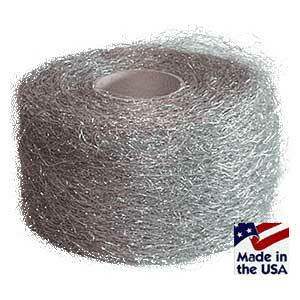 Made of the finest bronze wool fibers attached to soft synthetic fibers making a composite textile. 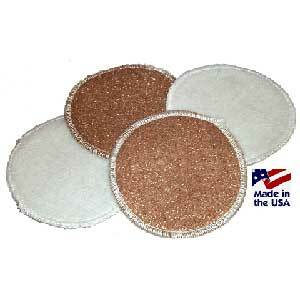 These polishing pads are re-usable and are designed to easily produce and maintain professional looking finishes. This combination of fine grade bronze wool laminated to soft synthetic fibers reduces the risk of cutting too deeply into a fine finish, while still achieving the gloss level desired with minimal effort.